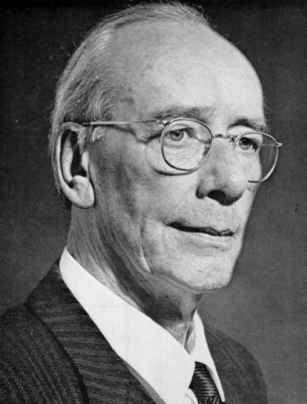 Professor Sir Frank Wild Holdsworth, FRCS (1904, Bradford – 1969) was a leading British orthopaedic surgeon known for his work on spinal injury. He held many high offices and received honors, including knighthood in 1967 and honorary fellow of the American College of Surgeons. He described the Holdsworth fracture of the spine (1963) and based on more than 2000 patients spine-injured patients he treated, he published the first comprehensive spinal injury classification system (1970), known as the Holdsworth classification. He was the first person to coin "columns" concept, to use "burst fracture" term, and to stress importance of posterior ligamentous complex in stability. Frank Holdsworth was born and grew up in Bradford, and educated at Bradford Grammar School. He studied medicine at Downing College, Cambridge, where he had won an exhibition, and St. George's Hospital Medical School. He qualified MRCS, LRCP in 1929, and was awarded FRCS in 1930 and M. Chir in 1935. On his return to Yorkshire, he worked at the Sheffield Royal Infirmary, becoming consultant orthopaedic surgeon there, and at the Sheffield Children's Hospital, in 1937. He established the orthopaedic and accident service in Sheffield, and later developed the registrar rotation system which has become standard in the United Kingdom. He worked in a highly industrialised area, thus interested in trauma surgery. He visited the United States and Canada to study paraplegia which was common after coal mining accidents. Eventually, he became one of the first surgeons in the UK to develop rehabilitation for spinal injury patients under the auspieces of the Miners' Welfare Commission. Paraplegia remained an interest throughout his career, and he campaigned to establish a spinal unit at Lodge Moor Hospital in Fulwood, South Yorkshire. He became President of the British Orthopaedic Association, Senior Vice President of the Royal College of Surgeons of England, and an Honorary Fellow of the American College of Surgeons. He received a knighthood in 1968, and became professor at the University of Sheffield in 1969. Holdsworth FW, Chir M. Review Article Fractures, dislocations, and fracture-dislocations of the spine. J Bone Joint Surg Am 1970;52(8):1534-51. New Year Honours. Br Med J 1 (5583): 49–50. 6 January 1968. doi:10.1136/bmj.1.5583.49. Sir Frank Wild Holdsworth 1904-1969. J Bone Joint Surg Br 52 (1): 168–70. February 1970.